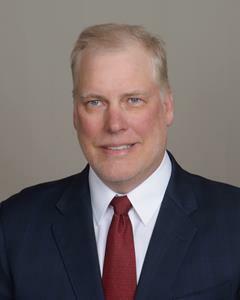 /EIN News/ -- INDIANAPOLIS, April 16, 2019 (GLOBE NEWSWIRE) -- Infrastructure and Energy Alternatives, Inc. (NASDAQ: IEA) (“IEA” or the “Company”), a leading infrastructure construction company with specialized energy and heavy civil expertise, today announced the appointment of Michael Stoecker as the Company’s first Chief Operating Officer, effective April 15, 2019. Mr. Stoecker will bring nearly 35 years of construction industry leadership and operations experience to IEA. His responsibilities will include the oversight of the Company’s ongoing construction opportunities and the integration of its acquisitions. Mr. Stoecker’s appointment helps strengthen IEA’s executive management team following a transformational year in 2018, during which the Company became a much larger and more diversified engineering and construction services company. With the acquisitions of American Civil Constructors, Saiia, William Charles Construction and Ragnar Benson Construction, IEA gained licenses to operate across all 50 states and grew its workforce to more than 2,600 employees. Mr. Stoecker’s experience spans the petro-chemical, tunnel, mining, heavy civil, commercial, environmental and power delivery sectors. He spent the past 11 years serving in various executive roles for Kenny Construction Company, a wholly owned subsidiary of Granite Construction Incorporated (NYSE:GVA); he served as President the last four years. Prior to Kenny Construction, he spent seven years in various operations and executive roles with Alberici Group, Inc., where his responsibilities included executive oversight of four subsidiaries. IEA is a leading infrastructure construction company with specialized energy and heavy civil expertise. Headquartered in Indianapolis, Indiana, with operations throughout the country, IEA’s service offering spans the entire construction process. The company offers a full spectrum of delivery models including full engineering, procurement, and construction, turnkey, design-build, balance of plant, and subcontracting services. IEA is one of three Tier 1 wind energy contractors in the United States and has completed more than 200 wind and solar projects across North America. In the heavy civil space, IEA offers a number of specialty services including environmental remediation, industrial maintenance, specialty transportation infrastructure and other site development for public and private projects. For more information, please visit IEA’s website at www.iea.net or follow IEA on Facebook, LinkedIn and Twitter for the latest company news and events. This release contains forward-looking statements within the meaning of the Private Securities Litigation Reform Act of 1995. The use of words such as “anticipate,” “expect,” “could,” “may,” “intend,” “plan” and “believe,” among others, generally identify forward-looking statements. These forward-looking statements are based on currently available operating, financial, economic and other information, and are subject to a number of risks and uncertainties. Readers are cautioned that these forward-looking statements are only predictions and may differ materially from actual future events or results. A variety of factors, many of which are beyond our control, could cause actual future results or events to differ materially from those projected in the forward-looking statements in this release. For a full description of the risks and uncertainties which could cause actual results to differ from our forward-looking statements, please refer to IEA’s periodic filings with the Securities & Exchange Commission including those described as “Risk Factors” in IEA’s 10-K filed on March 14, 2019. IEA does not undertake any obligation to update forward-looking statements whether as a result of new information, future events or otherwise, except as may be required under applicable securities laws.